A good piece of job offer advice is to acknowledge the job offer, even if you are not yet sure about accepting it. This can be done by writing a letter or sending an email. This letter buys you some time while making the decision on whether to accept the job offer or not. Don't miss out on a good opportunity while you consider the job offer, demonstrate your interest by sending an acknowledgement and thank you letter and come across as professional and polite. Adapt this letter to suit your situation and send it off when you get the offer. I have received your letter offering me the Sales Representative position with Bright Waters, Incorporated. Thank you for offering me this exciting opportunity. I will contact you with a decision by the end of next week as requested. I appreciate the time you have given me to consider your offer so that I can be sure my decision will be the right one in terms of both my career goals and the needs of your company. Please do not hesitate to call me if I can provide you with any information you may need. Use this job offer advice to stand out. By formally acknowledging and thanking the employer for the job offer you make a great start if you do decide to accept the offer and go to work for the company. If you decline the offer, you will be remembered as a professional and polite candidate. Is the job offer salary not what you expected? Use the job offer negotiation letter to get the salary you want. If you decide that this is the job for you then you will need to write a letter accepting the job offer. 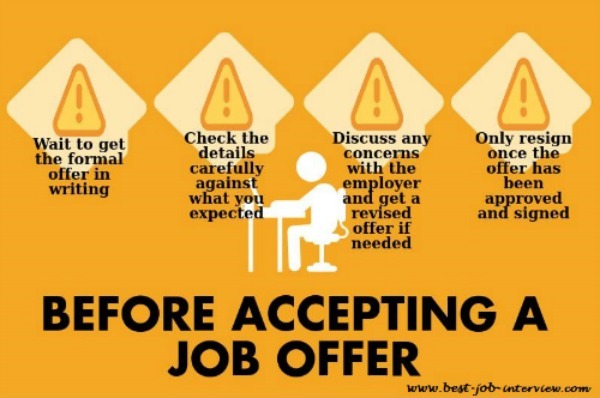 Use the sample job offer acceptance letter to demonstrate your professionalism and commitment to your new employer. If you prefer to send an email, the sample email accepting the job offer at employment acceptance email will help you with this. Decided that this is not the right job for you? Always write a professional and polite letter declining the job offer. 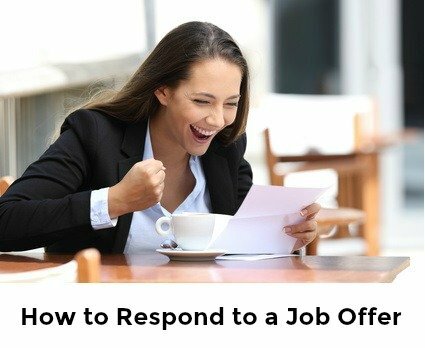 The sample letter at decline job offer letter will show you how. Check that you have all the job offer details. This job offer letter template clearly outlines what should be included in an offer of employment letter.